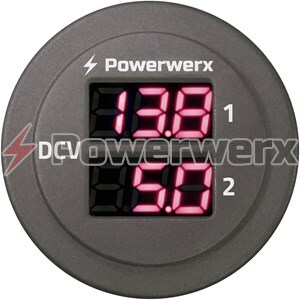 The compact PanelAmp meter features a dual LED display for amps & volts in a single panel sized hole. Built-in internal shunt. 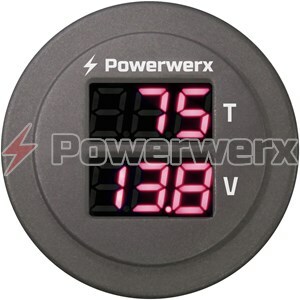 These are a perfect Amp/Volt meter we use for our Basic Solar + Storage "BugOut" systems. Our simple PWM solar charge controller has a max of 10 Amps on the load side of the controller and this is where we install the meter in a simple enclosure. 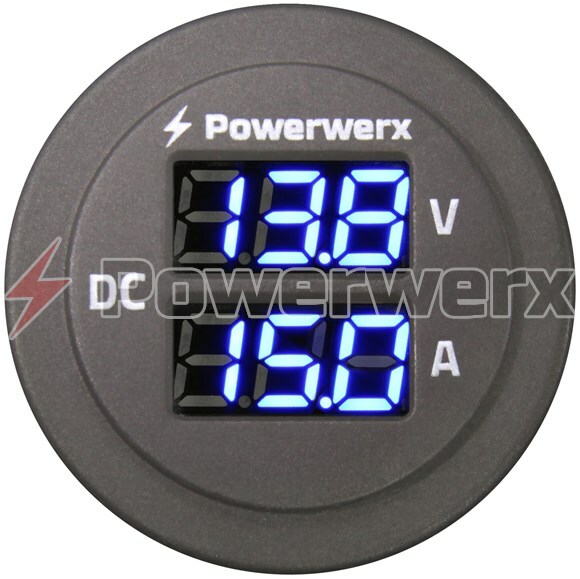 It gives our customers the ability to see the battery voltage and keep track of how many Amps they are drawing through the protected load circuit. We have tested this meter for over 2 years and still performs as advertised. Just purchased the combo volt/amp digital meter and found when opening the package (not reading prior to purchase), amp rating is only 15 amps! I am setting up all my gear on 12v which will have a potential needed amperage of close to 30amps on full transmit! May have to return and hope that Powerwerk will come up with a higher capacity meter! I do like the size and mounting system, great system otherwise. 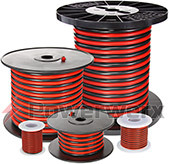 Good product with easy wiring and no external shunt. I just wish the amp rating was higher. Also, the ammeter is not particularly accurate below 1A. 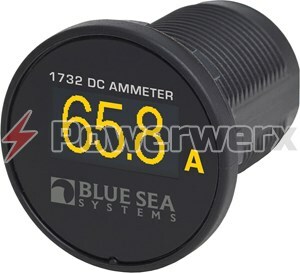 But it is precise (readings don't fluctuate), and it offers a lot of functionality in a small package. This is a good switch for 50W radios but the 15A current limit is too low. 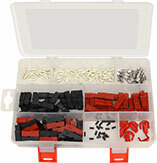 100w radios require 25A current. Would like to see higher current options on this switch and current meters.